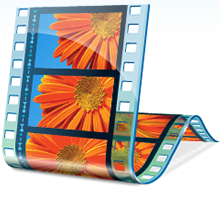 There are a huge range of video editing software packages or programs available today. Here is closer look at the latest options and get a better sense of where to look for your next selection. Having an easy-to-use or user-friendly application for editing a video is important. That's especially true for the beginners. Most of the better consumer level video editors pack a whole bunch features and capabilities these days and it is quite a task for designers to keep the interfaces simple and intuitive while at the same time allowing access to advanced settings and controls. The varying degree of input and output format compatibility easily helps to distinguish between the wide selections of software that's available. Make sure of exactly what video file formats you will be using depending on your source files or the devices you will be using to record your raw video footage. It's also of equal importance to have an excellent "Help" and "Customer Service" when comes to making a choice over a good video editing tool. Basically, the better the level of support provided, the easier and faster you'll be able to master the skills of editing. Finally, there are plenty of options for video editing platforms, but your judgment is always the best guide. Lightworks is a fully featured, professional video editing program that you can download for free . The only restriction of the free license is that you can only export your finished videos in MP4 format, and you'll need to register for a free license code periodically. It supports HD video editing and all the other features you need. There's a steep learning curve but you can get started with the free tutorial videos on the website. The program is currently available for Windows, Linux and Mac OS. Lightworks is currently available for Windows, Linux and Mac OS. Whatever kind of project you have in mind, Lightworks can help you achieve it. If you simply want to trim a video to size, or combine several short sections of footage before uploading them to YouTube, Lightworks' well designed timeline will help you get the job done in moments. Lightworks is packed with advanced realtime effects to help you perfect your video, including color correction, blurs and masks. There are dozens of preset effects, or you can create your own manually. The software itself is quite lightweight . Its full installation only needs 200 MB of storage space. And you need only 2 GB of RAM to run this software and mere 3GB is recommended to run this program effectively. This makes Lightworks an excellent choice of video editing software for inexpensive netbooks. Rendering occurs at a decent speed and runs in the background, allowing users to keep editing . This ability will greatly help editors who don't want to take breaks while outputting files. Note: The free version cannot export to DVD, Blu-ray, or hard drive. Lightworks is a very good alternative to big name professional video editing applications. Its biggest advantage is how customizable , lightweight and versatile it is. It doesn't have everything that the best pro video editing software offers, but you can get more or less the same results with it. VSDC Free Video Editor looks and feels just like a professional video editor. The free version of VSDC Video Editor really has no strings attached. No trial period, watermarks, or ads. VSDC Video Editor is available at two levels: Free and the Pro edition. Pro edition—still far cheaper than most capable video editing software at present. You can create video projects from a combination of video clips , still images and audio files, with a resolution of up to 1,980 x 1,080 (full HD) and a maximum frame rate of 30fps. In addition to supporting nearly every major video format, the program offers advanced video effects , including object transformation and color correction, as well as advanced audio effects like volume correction and sound normalization. You can also add charts and text, which makes VSDC Free Video Editor a brilliant tool for creating presentations with much more impact than a standard slideshow . You can tweak colours, brightness, contrast, levels and more in a range of ways. And there are options to apply blur or sharpen filters, flip or rotate clips, add captions and more. Cropping, rotating, transparency, and creating picture-in-picture video effects are quite easy in VSDC. You simply drag the borders where you want for cropping and PiP, and a rotate button makes quick work of turning your video over. The number of output file options is impressive. VSDC even supports the relatively new H.265 codec , and an illustrated dropdown lets you choose popular devices to target with your output. A nice bonus is the ability to add Instagram-like filters to your footage in just one click. Very handy if you're trying to maintain a consistent look to both your still and moving images on social media. Moreover, VSDC allows you to record video from your screen and your webcam simultaneously, and if you are serious about your YouTube game, you can also create a round facecam with VSDC PRO . Unfortunately, there is one catch. If you want technical support, you need to pay. Avidemux is a free and open-source video editing program designed for simple cutting, filtering and encoding tasks. It is best for making quick edits and cuts. Also, it is a useful application for video conversion and cropping, resizing and processing video. Avidemux is a cross-platform clone of the earlier VirtualDub, but, unlike its predecessor, the program is still actively maintained. This software is a bit more advanced than the other video editing software , but it allows videos to be converted into various common formats. To convert any video by this software is as easy as loading the video through the File menu, choosing the desired output format from the left side of the program and again using the File menu to save it. Avidemux supports one stream only. You can't layer or merge tracks as with some of the more advanced for-pay editors. It's also a bit technical, so be prepared to do your homework on video formats and editing if you want to use the more granular settings. Also, the program isn't the most straightforward to use, but there is an online wiki with a number of tutorials and guides you can follow should you struggle to get to grips with it. It has an extensive Wiki page that will get you started with the application, from basic to advance. So if you are considering Avidemux, it is better you start reading the Wiki, this is the only negative part of this tool. HitFilm Pro is a full edit suite that can be used to work with filters and special effects, as well as a selection of 2D and 3D composition tools. It also comes with hundreds of pre-made effects and presets, which can be fully customized within the software. There's loads of fun VFX stuff to play around width in HitFilm , from muzzle flashes and ready-to-use lightsabers to vintage film looks and particle simulation. If you need layer-based compositing, advanced VFX, 3D particle systems and 3D model compositing, especially in the same project, then Hitfilm is a compelling choice. Hitfilm's editor is very basic. One could cut a narrative film project well enough, but event video editors will find the lack of multi-cam a deal breaker. HitFilm's library of built-in effects has also been expanded, introducing a set of new distortion effects and improved lightsabers. The number of included effects and presets now exceeds 500 in totals, which is definitely impressive. The addition of audio sync is another time-saving feature included in HitFilm Pro 2017 , meant as an aid for users who record video and audio separately. All this is wrapped up in a surprisingly intuitive user interface. With intuitive interface, complete workflow and tons of powerful visual effects and presets, HitFilm is very friendly to newcomers. If you're a relative newcomer to visual effects, all of these things might seem a little overwhelming. Fortunately, there is a staggering wealth of support available for HitFilm. There is a comprehensive user guide, as well as an active forum. The video tutorials — most of which are posted on HitFilm's YouTube channel, are the most helpful since the developers give concise instructions on just about every subject imaginable, making it easy for videographers of all skill levels to learn and create. Unfortunately, however, Hitfilm is let down by one, serious limitation. There is no way to import or export sequences from/to other software packages – there is no support for AAF, XML or even an old-fashioned EDL. Blender can be a fairly capable video editor, but it's primarily for 3D modelling . Blender software official release for Mac OS, Microsoft Windows, and Linux are available in 32- and 64-bit versions. You can make it work for simple video editing feature without too much hassle, however if you want to make advanced video editing you would have to learn how to use the compositor. There are two main modes of work you will use when using Blender ; Objective and Edit modes. These modes can be changed with the Tab Key. The Objective Mode is used to manipulate objects as a unit, whereas the Edit Mode manipulates the actual data of the object. Blender comes with a fully fledged compositor built right in. That means no more exporting to third party programs, you can do it all without leaving the program. If you use a node editor, you can actually do quite clever things, from something as simple as minor color correction to more elaborate things like shifting values around using time based curves and compositions like chroma-key, etc. Another nice thing about Blender is that the audio is able to be unlinked from the video. Moreover many commands you will need while using Blender are accessible through hotkeys. You will also find comprehensive Graphic User interface (GUI) menus. Blender now includes production ready camera and object tracking. Allowing you to import raw footage, track the footage, mask areas and see the camera movements live in your 3d scene. Eliminating the need to switch between programs. An inbuilt Video Editor is included in this program. It lets you do basic actions such as video splicing and cuts, including the complex tasks such as video masking. When you visit the Blender site, you will realize that the program is documented extensively. The team also offers support via discussion forums and community tutorials online. Their staff provide social and support services for all Blender Professionals . Moreover, you can also find many excellent video tutorials on YouTube for booth professionals and amateurs for free. Windows Movie Maker is a video editing tool created by Microsoft . It uses many of the common workflow elements of a more professional editing system (like importing and assembling a timeline). The interface is very intuitive and should be easy to navigate for even the most novice beginner . Creating a new video from existing ones becomes really easy by using Windows Movie Maker. The simplest way to create a digital movie in Movie Maker is to add your clips to the timeline and choose one of the seven AutoMovie Themes—Default, Contemporary, Cinematic, Fade, Pan and Zoom (best used with photos), Black and White, and Sepia. As with just about any video editor , you can stop and start playback with the space bar, but Movie Maker gives you the three control buttons, play/pause, and step back and forward one frame. For a free video editing program, Windows Movie Maker offers a surprising amount of effects and transitions to work with. These don't always yield the most professional results, but they certainly are fun to play around with.